We are a locally owned company, providing quality care to those who need our services since 1968. We offer a complete line of orthotic and prosthetic services. Custom prescribed limbs and braces are our specialty. Our business philosophy is based on the premise that clinicians with expert knowledge in their field, along with compassion for each individual will lead to the most positive outcome possible. When providing care to clients, we believe that the team approach always leads to a better outcome. Therefore we will collaborate with you, your physician, and/or therapists to gain the necessary information to provide this outcome. Clinicians who excel in their field will see you. They are board certified and licensed by the State of Washington to provide prosthetic and orthotic care. They maintain their state of the art knowledge by attending continuing education classes that are held throughout the country each year. We would welcome the opportunity to help you reach your rehabilitation goals. Please give us a call today, 509-943-8561. 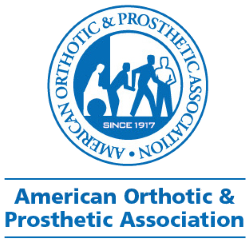 Tri-Cities Orthotics & Prosthetics is accredited by the American Board for Certification in Orthotics, Prosthetics and Pedorthotics, Inc. (ABC). This means we have chosen to have our patient care center measured against the most rigorous standards in the profession. We have the staff, equipment and expertise that ABC believes are important for the delivery of high quality patient care.